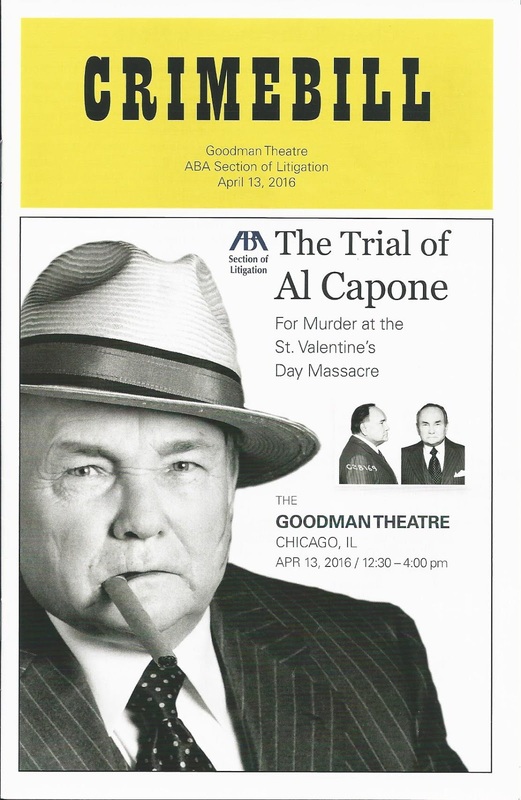 This trial was conducted on Wednesday April 13, 2016 at the Goodman Theater in Chicago as part of the American Bar Association annual meeting. There were about 800 people in attendance. 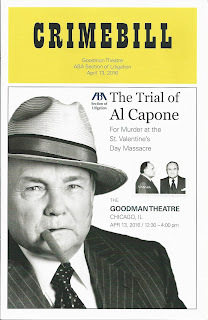 My uncle Al Capone was acquitted of the murder at the St. Valentine's Day Massacre. This was a mock trial as my uncle was never indicted but it was conducted by real lawyers and real judges with real evidence. When the chair polled the audience, which was mainly lawyers, the majority said Not Guilty.